Join us on the maiden voyage of AFAR Sailings and Silversea Cruises, the newest way to travel with AFAR. This one-week cruise with Silversea calls at three countries—Spain, France, and Italy—as well as some of the Mediterranean’s most idyllic ports, including Sète, Saint-Tropez, and Olbia on Sardinia. On this exclusive travel experience you’ll have opportunities to walk among the modernista buildings of Barcelona, the Baroque masterpieces of Naples, and the ancient ruins of Rome, all while savoring the region’s various cuisines at the glorious height of summer. On board the all-inclusive Silver Shadow you’ll experience the very best accommodations and finest amenities, and you’ll be among an exclusive group of AFAR guests with access to private excursions alongside AFAR’s very own tastemaker, Ellen Asmodeo-Giglio. Enjoy special programming and amenities off shore and onboard, as well as experience the region's art, architecture, and history on private tours. You’ll start your journey in one of Spain’s most enchanting cities, Barcelona. Explore on your own or the AFAR Sailings concierge can arrange a pre-cruise excursion that delves into Barcelona’s wonderful art and architectural masterpieces. See the work of the city’s most famous architect, Antoni Gaudí—the Park Güell, his houses and apartment buildings, and La Sagrada Familia, a soaring, and still unfinished, church. Travelers interested in art will want to drop in at museums dedicated to Picasso and Miró, as well as the National Museum of Catalunya, with its renowned collection of medieval art. Or savor the city’s culinary highlights at La Boqueria market or some of the many tapas bars while you walk by the modernista buildings of Catalonia and enjoy the traditions of this vibrant city. AFAR guests are invited to an exclusive pre-cruise welcome cocktail reception with AFAR’s EVP/CRO Ellen Asmodeo-Giglio in the heart of beautiful Barcelona. This evening event will help kick-off the weeklong adventure in amazing style. Enjoy the day in Barcelona and board your ship, the Silver Shadow, in the afternoon. Ship departs at 7 p.m. While this Silversea itinerary includes some of the Mediterranean’s most famous ports, it also calls at a number of fascinating off-the-beaten-path ones. Sète is a quiet fishing village and seaside resort that has been nicknamed the Venice of the Languedoc, thanks to its canals and lagoon. You’ll likely want to spend part of the day exploring the old port, though the lagoon is famous both for its variety of bird species and its oysters, which can be sampled straight from the water at family-run businesses along the lagoon’s northern shore. There are also a number of beaches close to town, if you want to take a dip in the sea. One of the most famous beach towns in the world, Saint-Tropez on the French Riviera skyrocketed to fame when Brigette Bardot was photographed walking along its waterfront. Long before she started the town on its path to becoming a playground of the rich and famous, Saint-Tropez was known for its winding streets and squares where locals play petanque. Fortunately those have all survived to this day, even while the streets are now also lined with designer boutiques and galleries. Silver Shadow doesn’t depart until 11:30 p.m., giving you time to enjoy cocktails or an alfresco dinner at one of the town’s open-air cafés before saying au revoir. You’ll wake up this morning on Corsica, and specifically the town of Saint-Florent on its northern coast. Long a fishing village, today its harbor is more crowded with yachts than commercial vessels. The city’s old port has atmospheric streets and a 12th-century cathedral, while a climb to the citadel offers views of Saint-Florent and its picturesque setting. The town is also a good base to venture out to some of the highlights of northern Corsica, including a number of wineries around Patromonio. The beautiful port of Livorno may not be as famous as some of Tuscany’s other cities, but it has a long and colorful history. Thanks to the Medicis, who long ruled it, the city has a number of stately Renaissance buildings. You can also use it as a base to explore some of Tuscany’s other famous sites—Lucca, still ringed by its city walls; Pisa, with its basilica and Leaning Tower; and Florence, the birthplace of the Renaissance and home to the Uffizi Gallery. Oenophiles may want to head out on a wine-tasting tour to Chianti. Olbia, on the east coast of Sardinia, is home to a famous medieval basilica, though even older artifacts can be found at the city’s archaeological museum, with items salvaged from Roman warships on display. The best way to enjoy Olbia may be, however, to wander without any goal, admiring the palm-tree-lined waterfront and the many charming squares. Sardinia’s famous Costa Smeralda, where yachts drop anchor aside breathtakingly beautiful beaches, is just a little to the north of Olbia. A little farther beyond the coast, the Maddalena Archipelago is a popular option for a daytrip among its protected and pristine islands. Italy’s third-largest city is a lively, vibrant port with a breathtaking setting, wrapped around a bay and with views of nearby Mount Vesuvius around every corner. The city has been inhabited since at least the second millennium B.C.E., but its height of power and influence was in the Baroque period, when it was second only to Paris in population among Europe’s cities. Stunning buildings from that era can be found throughout the historic center. The legendary Roman city of Pompeii is nearby, as are one of Italy’s most famous resort areas—the Amalfi Coast, which you’ll visit on AFAR’s exclusive private yacht tour. Swim (right off the yacht) in the pristine waters just feet from Amalfi's cliffs, and enjoy an authentic lunch at the award-winning Hotel Santa Caterina. You’ll bask in the beauty of the coves, grottos and islands as you sail along the magical Sorrentine Peninsula. And don’t leave Naples without trying Neapolitan pizza—fortunately there are literally hundreds of pizzerias serving one of Italy’s most famous dishes. You’ll end your cruise in the Eternal City, and all of its cultural riches are waiting to be explored—the Forum, the Pantheon, the Vatican City and its museums, and more. Or you can follow a less scholarly itinerary and enjoy a gelato on the Spanish Steps or a long alfresco lunch while people-watching on a piazza. As the saying goes, Rome was not conquered in a day, and that applies to you too. If you decide there is simply too much to see that a few hours before your flight home is not enough, Silversea and the AFAR Sailings Concierge can arrange post-cruise extensions. Add to your adventure exploring the vibrant capital on custom tours arranged by the concierge, from discovering the treasures of the Vatican City to simply practicing the Italian-perfected il dolce far niente, the sweet art of idleness, while sitting at a caffè in the Campo de' Fiori or strolling through Trastevere. Silver Shadow embodies Silversea’s essence—spacious suites, an intimate atmosphere, superior service—paired with a lively cosmopolitan ambience and enhanced amenities. With one of the highest space-to-guest ratios at sea, Silver Shadow is a firm favorite in the Silversea fleet. Aboard the Silver Shadow, you can savor fine wine and regional culinary creations at La Dame, the only Wine Restaurant by Relais & Châteaux at sea. Onboard lectures and volumes from the Library let you learn more about the ports you have just left, or those you are about to visit. And you can energize body and soul with complimentary Pilates and yoga in the expanded fitness center, or simply gaze at endless ocean views and the coastlines of the Mediterranean. Limited space available; booking is first come, first served. Have Questions Prior to Booking?  Reach out to AFAR Sailings expert for more details. 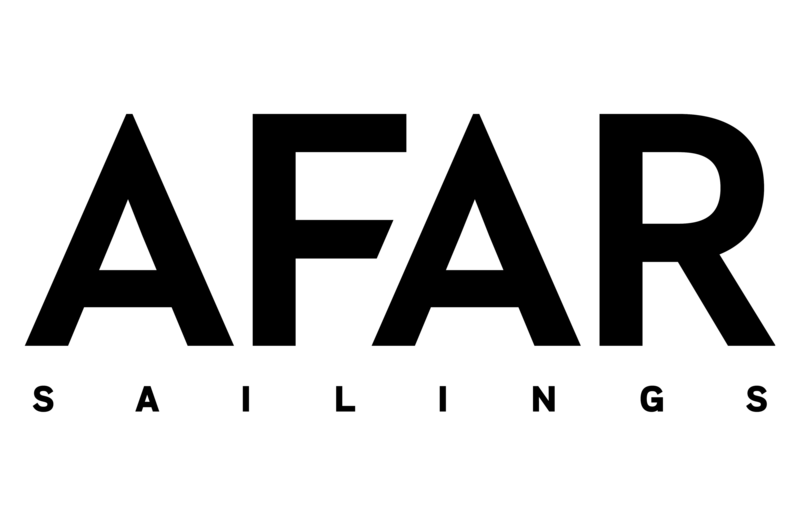 AFAR Experiences registration includes meals, transportation & activities throughout the event. Attendees are responsible for their own transportation to and from The Bahamas and accommodations for the event. We believe that each person who attends our event deserves to have their experience enriched on every level, including their interaction with fellow attendees. This is why we ask all registrants who are 21 or older to complete an online application form that tells us something about their interests, pursuits, projects, and ideas. Bringing together an eclectic diverse group of passionate individuals, we’ll offer you value through not only what is witnessed and observed, but through meaningful exchange with like-minded participants who will connect and contribute to this collective, life-changing experience. The registration fee includes all programming: speaker sessions, breakout activities, evening events, meals, and alcoholic/non-alcoholic beverages. Rates for attending are tiered based on time of registration. Credit card payment excludes hotel and airfare. Once you submit payment and your application the AFAR Team will review. If there are any issues, they will reach out to you directly within 10 business days of receipt via email. AFAR reserves the right to refuse applications at their discretion. Cancellations within 45 days of the event: Result in an AFAR 100% fee, per attendee. Transfers to another person are allowed; however, since we are curating the attendee list, AFAR reserves the right to decline any transfer request if they do not meet the AFAR Experiences attendee criteria. Complete details of the Request for Transfer must be made in writing no later than 30 days prior to the event date to registration@afar.com and must include reasons why the Transferee is equally suitable to attend. Submit your inquiry and AFAR Sailings Concierge will reach out to you shortly.